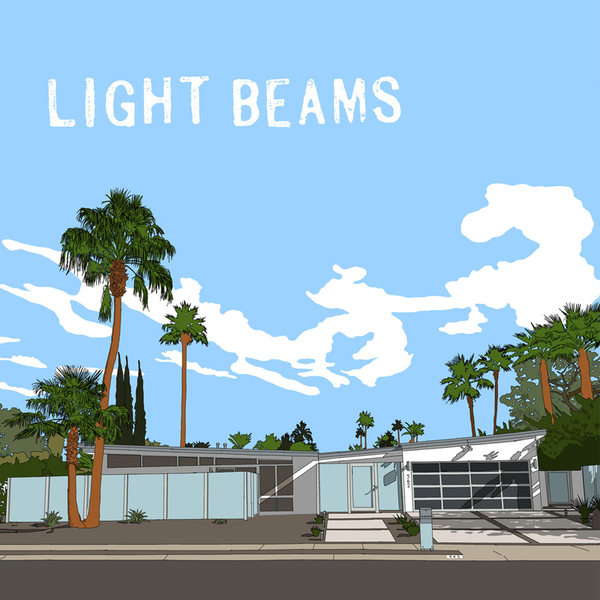 Light Beams began in 2015 when Washington, D.C.’s Justin Moyer (Puff Pieces, E.D. Sedgwick) — then feeling the influence of 80s-era freestyle music and Sheila E. — started playing sampler and timbales with Sam Lavine, longtime drummer of local experimental hip-hop troupe The Cornel West Theory. With the addition of bassist Arthur Noll the resulting polyrhythmic melange — sometimes called “zap-tone” or “block rock” — reinvents late-20th century dance-pop using the tools of the 21st. The sampler is an essential part of Light Beams’ songwriting. At shows and on record, Moyer triggers samples from pads rather than sequencing them to a rigid master clock — no laptops or click tracks. The rhythm section follows along as best it can, giving the music an unusual, slightly unstable feel. The sampler also allows the freedom to bring any instrument into the group — guitar riffs, brass hits, even the sound of the elevator at Moyer’s office — and also the welcome limitations of 80s-era music making. On September 22nd, the band will release its self-titled debut, an eight-song mini-album recorded in Moyer’s home studio. Get Ecstatic & Grow Pt. II (for PJ Harvey) recorded by Mike Schleibaum at the Riff Dojo, Takoma Park, MD. All other songs recorded by JM at White Oak, Washington, DC.